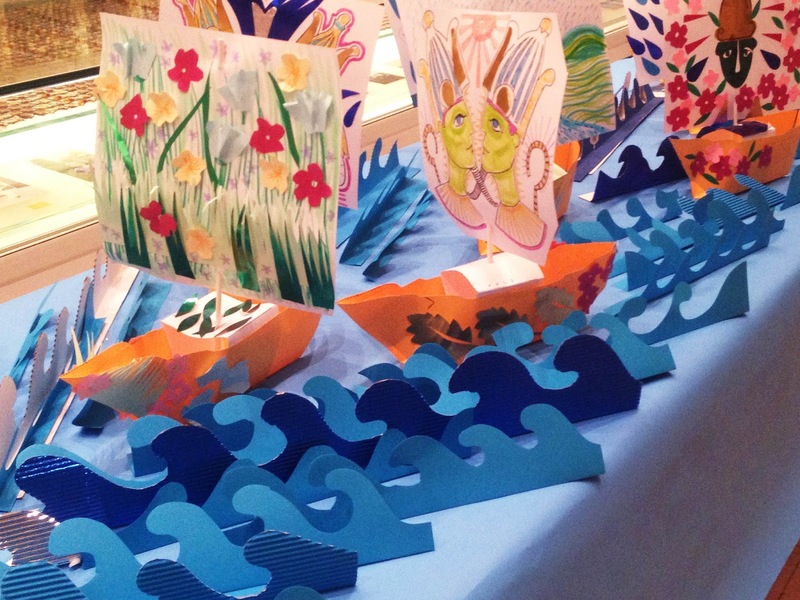 To tie in with the current Hokusai exhibition: Beyond the Great Wave, Young Friends added their artwork to a giant collaborative display. Each person made their own 3D paper scene, using Hokusai's landscapes as inspiration. The collaborative artwork was given colour and helped to grow as the evening went on! 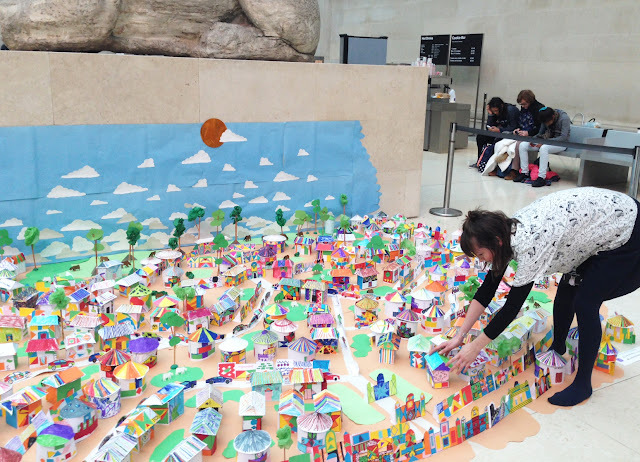 Over February half term I worked with families on this expanding installation at the British Museum. 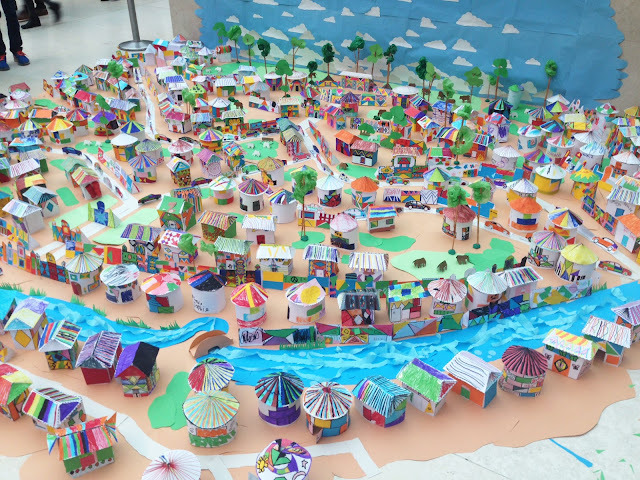 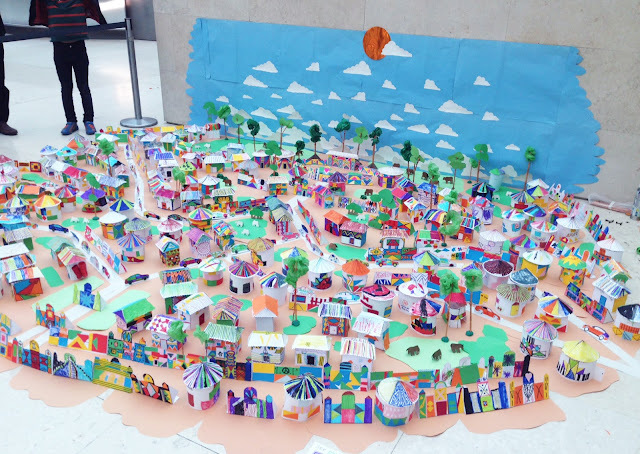 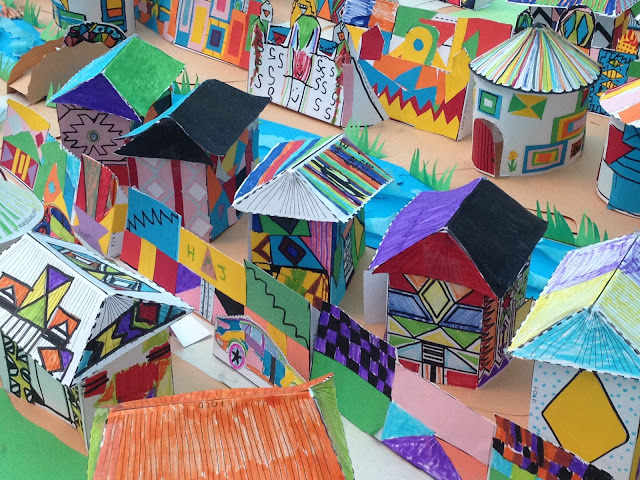 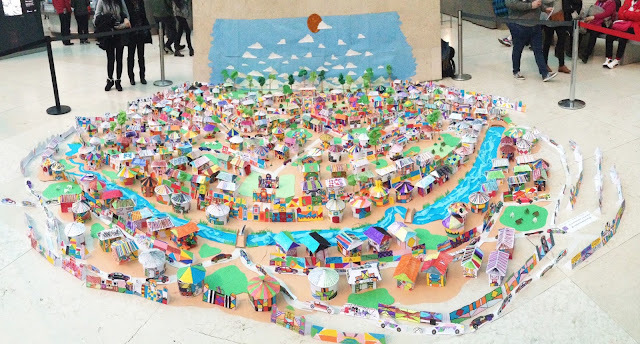 Inspired by Ndebele House Paintings of South Africa, this mini village made a link between the 'South Africa: the Art of a Nation' exhibition and al the families who dropped in. 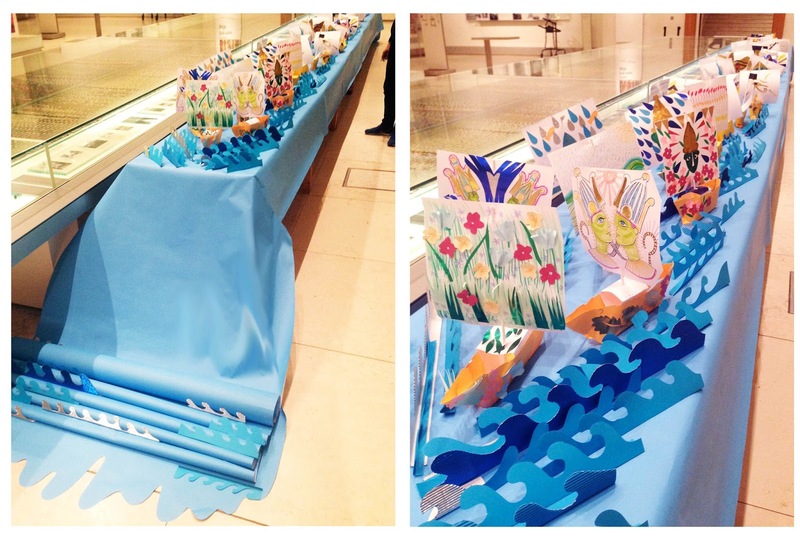 I made a giant River Nile at The British Museum recently, as part of the Sunken Cities events. 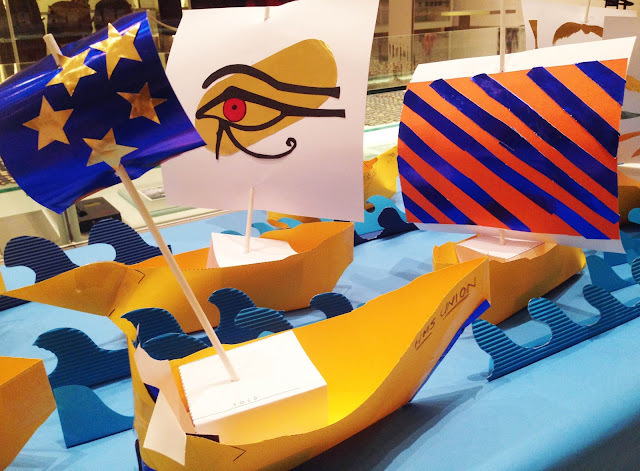 Adults of all ages came to make a boat to form a procession. 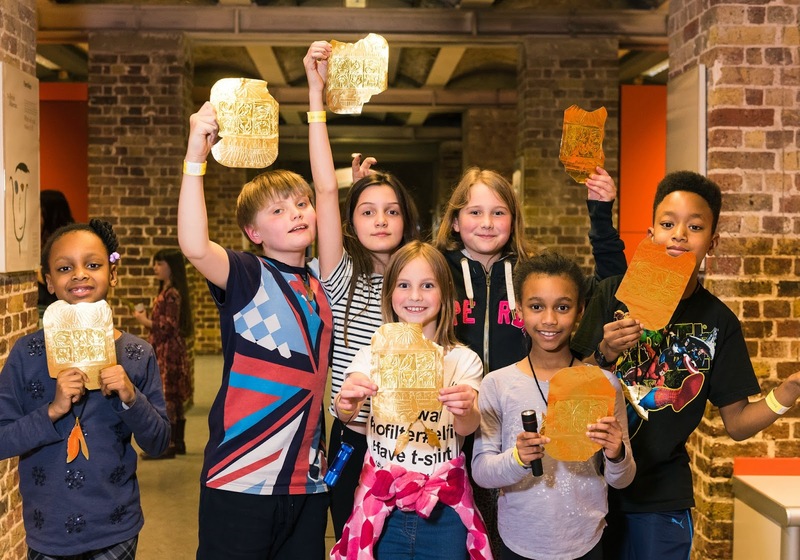 Great fun had by all! I've been creating adult sessions at Orleans House Gallery which involve talking as a group about art in the exhibition, and then making accessible artwork afterwards. 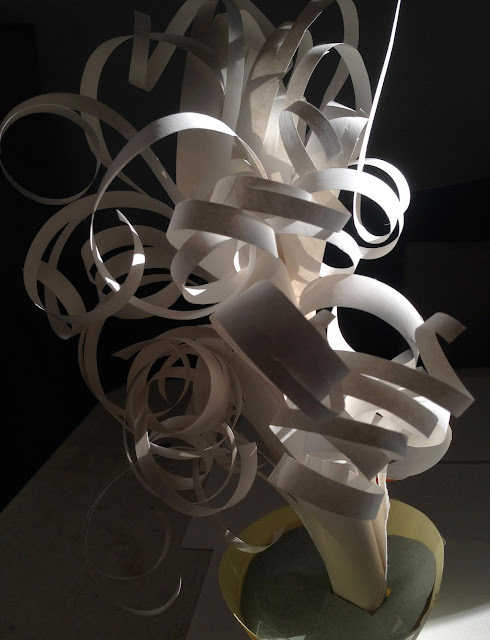 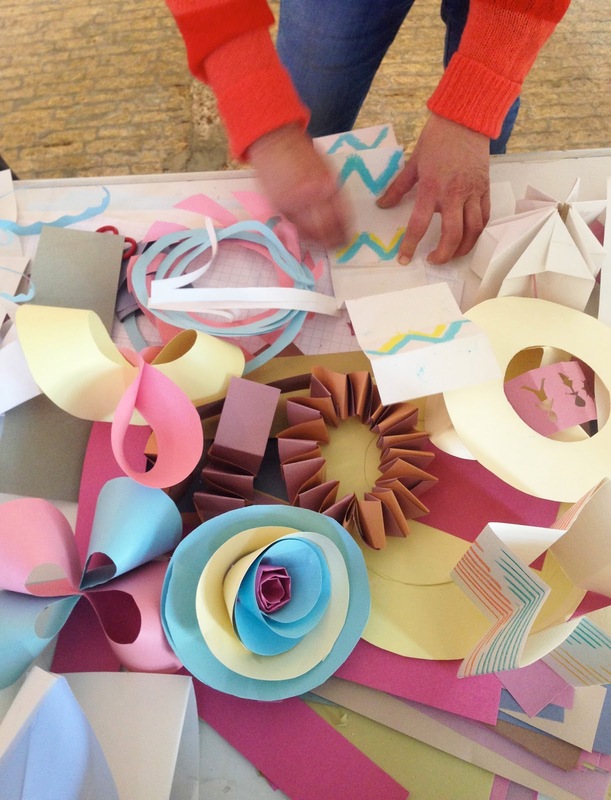 The last session was based on colour and 3D form - it had beautifully sculptural results! 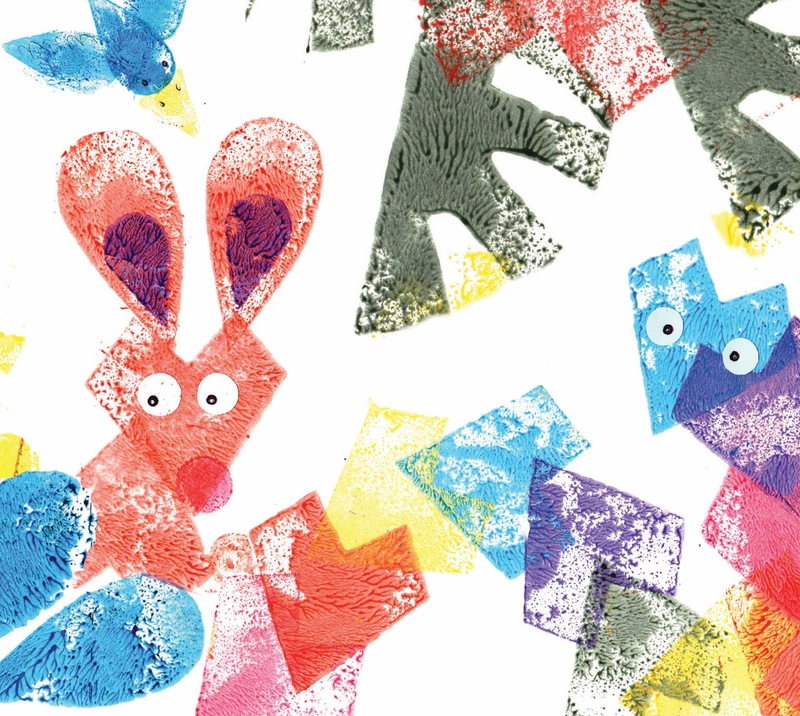 I've been working on a simple printing process for family workshops coming up at London Transport Museum. 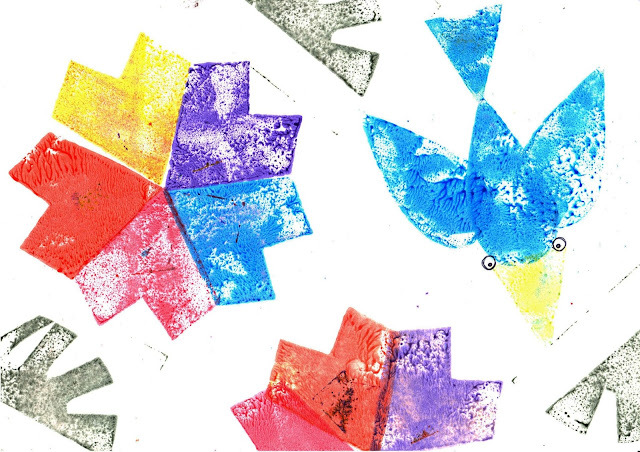 Here's a sneak peek of what my trials look like so far! 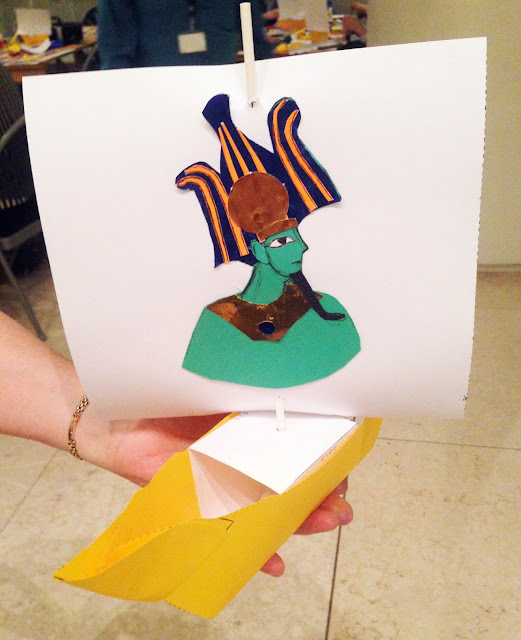 We've been making golden tablets at the British Museum's Sleepovers, inspired by the Night at the Museum films. 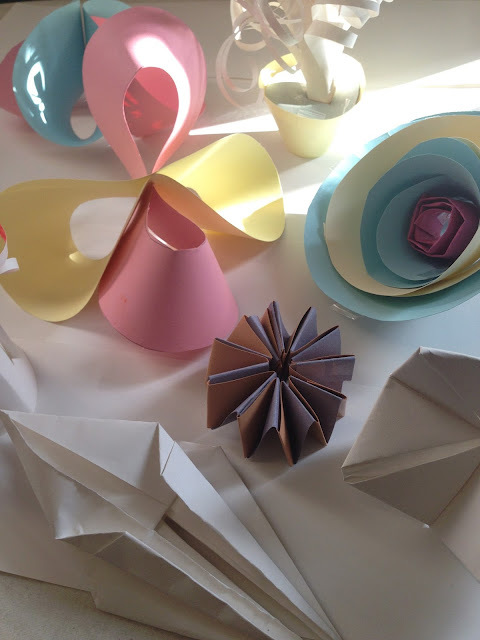 Here's a few examples of what we made in just 45 minutes! 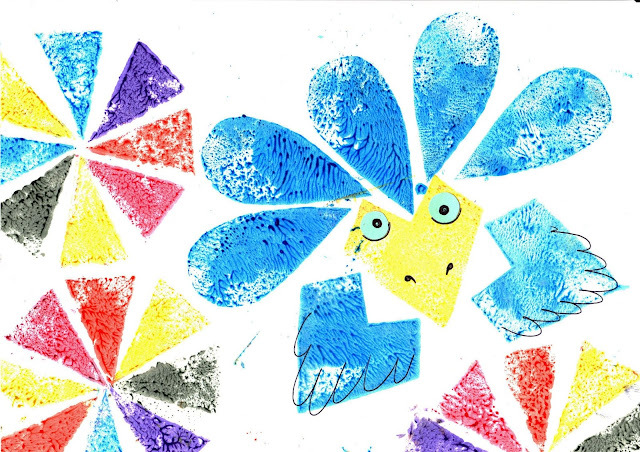 Sample worksheet made for the workshop. 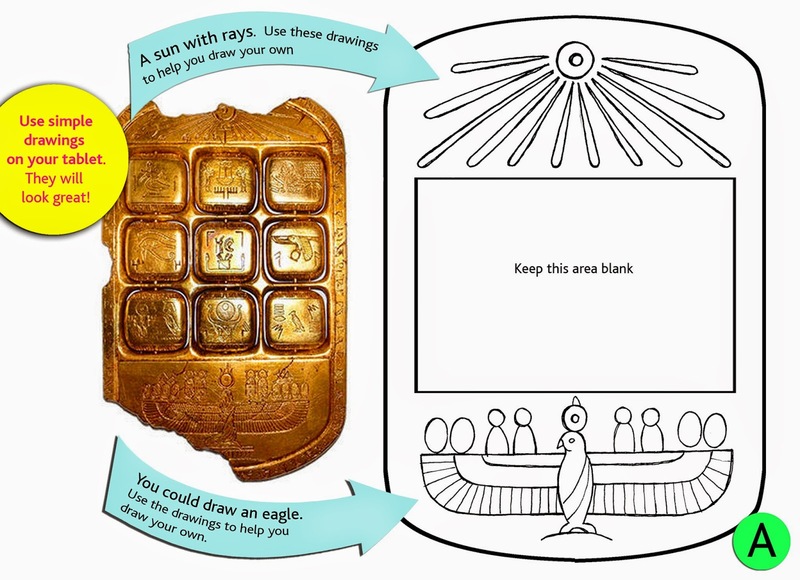 I've written and delivered some drawing workshops for the BM's Members' evenings.